This palm-size helicopter with side blades have outstanding performance in hovering. * 3 different Frequency for flying 3 helicopter at the same time. * 4 Channels for flying it, able to move in 6 Directions: Forward/Backward, Turn Left/Right, Up/Down, Side Left/Right, hovering. * The Alloy Frame protects the heli from crash, it won't break easily. * Fashion Design, Colorful Flash Light, high brightness effect, attractive when flying at night. * Added Gyroscope system allows better flying performance, stable flying. 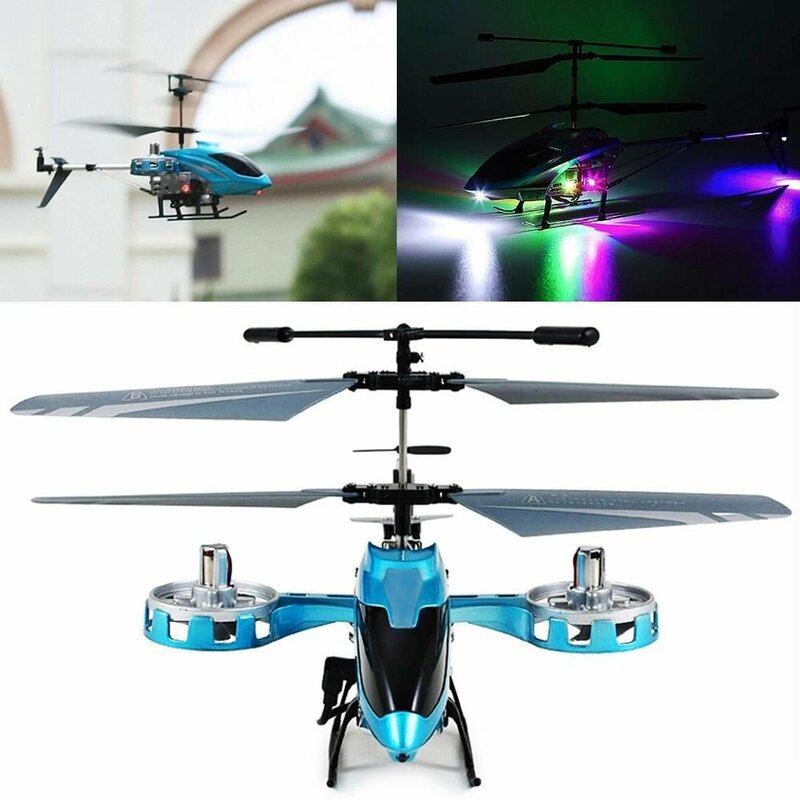 * This toy helicopter is designed for those who are over 14 years old, suitable from kids to adults!